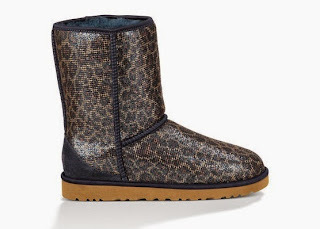 Take a walk on the wild side this winter with UGG Australia. 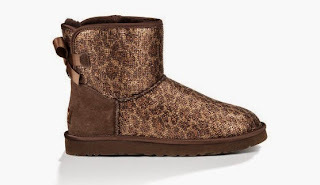 Each season UGG wows us with shimmery, sparkly, shearling boots and this winter is no different. 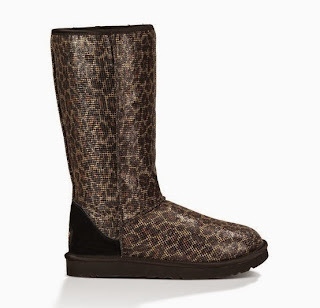 UGG's new glitter leopard design is available in 4 styles: classic short, moccasin, mini bailey bow and classic tall. 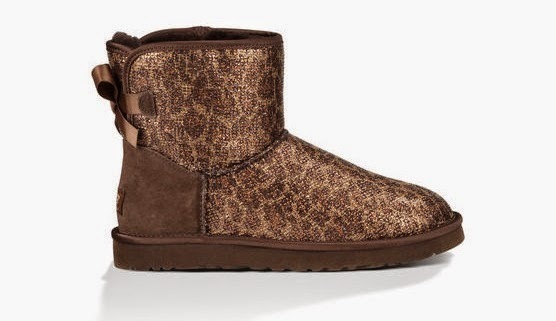 The 3 available colors are navy, black and bronze and range from $120-$210.